I bird. I blog. I blog about birding. Woohoo! It’s that time of year again – the Shorebirds are back. And with it, frustration as you can’t work out if x bird is a weird looking regular, or something super special. That’s when you will need to look at some books, and you’ll probably want something that has a bit more detail than your regional field guide (which generally aren’t quite up to standard when it comes to shorebirds), while not really wanting to enter into the wonderful world of HANZAB. There’s a few out there, and I’ll look at a few of them today. Over the years I’ve got my hands on many wader/shorebird books, and as I should probably be writing an essay, what better time to review some books on birds, instead of writing about vegetation survey techniques. Hopefully this will be useful to someone out there. If so, please add a comment below. 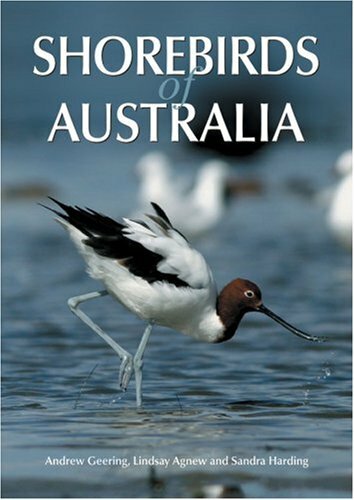 A very good book for Australian shorebirds. It is geared towards Australian birds, so it doesn’t bother showing most of the birds in breeding plumage (useful for us) and the photos are top shelf. Every Australian birder should have a copy of this book. I do find it odd that every bird is facing the same direction, as it never happens like that in the field, but it’s a good book all the same – that’s a minor – very minor – quibble. Ok – that’s it for Australian shorebird guides. The rest are Northern Hemisphere or global. I’m not sure what it is about this book, but I’m not a very big fan – it will be the book I turn to last to help identify that troublesome wader. The layout is strange (it has seperate sections for standing and flying plates, with the maps located under the flying plates), and something about the artwork doesn’t sit well with me – all the birds look really well fed. It does have a very useful wing pattern guide section though towards the back of the book. I’ve got so many photos of flocks of shorebirds flying away from me, and you can identify them from wing bars and rump patterns, and that section has been useful more than once. 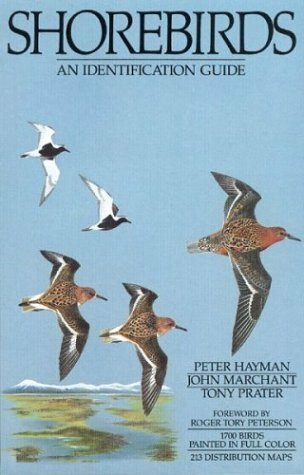 You should probably have it in your library – it can never hurt to have too many books at your disposal when trying to work out an odd wader. A pretty good photographic guide. I picked this one up cheaply through Amazon some time ago, and was surprised at the quality of the text and photos given the price. It has the images and species accounts together on the same page, with some good maps showing breeding/wintering and stopover sites. Most birds also have a number of photos showing a range of plumages – a very good way to go about it. My only complaint is that some of the photos look a bit washed out or something – I don’t know if it’s just my copy, or if it’s a printing problem. Apart from that, can’t fault it – you should have a copy of this. This is one of the best photographic identification books I have seen. The photos are outstanding, the species accounts (in the second half of the book) are accurate and very descriptive, and it is simply a must have book. 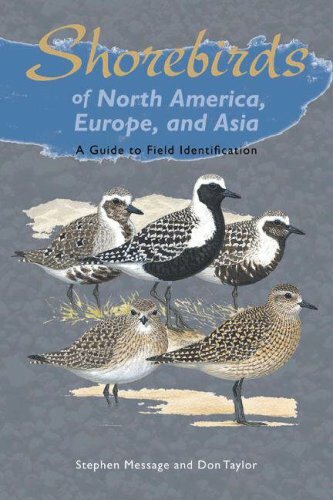 I find this book is not only useful in helping to identify waders, it also gets me excited about birding. It also inspires me to take better photos, the shots are that good. One of the quirky features is that it has little tests throughout the book – so rather than being just an identification guide, it is also a learning tool. Having shots of birds in silhouette and then it says “can you identify the little ringed plover from this group of waders?” is a really innovative way to go about it. My only complaint is that some of the bird names aren’t what they are here in Australia, but that’s not that big a deal – that’s what pens are for. 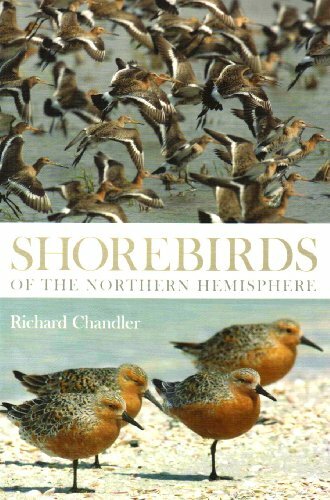 This is a book that every birder should have, whether they like or loathe shorebirds. The photography is outstanding, and it is possibly one of my favourite bird books. 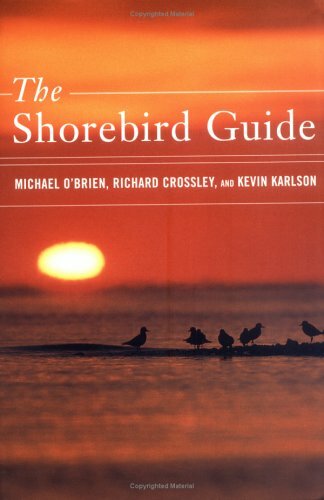 This is THE field guide to get if you’re into your shorebirds. There is a hardbacked and a paperbacked version, and the hardcover is the one you want to try to get – it costs a bit more, but it’s got more accurate colours. It is a fantastic book, with good maps, plates and species accounts. Although it is much older than the ones above, it is the first book I will go to when I’m looking into information on waders/shorebirds. I hope that this is useful for someone out there – if so, please comment below! The ratings are purely subjective, based on my opinion of using the book/s over the last several years. YMMV! This entry was posted in Book reviews, books on September 15, 2010 by admin.